Sorry, there are no currently available homes by a Realtor named Crystal Hyde. If Crystal appears to have a listing, it may be sold, expired, or off the market. Can't find what you're looking for? It's possible that Crystal Hyde	has a listing that is sold, expired, or is no longer on the market. 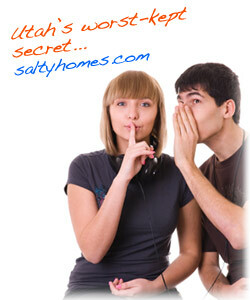 All listing, agent, and brokerage information is licensed through the Wasatch Front Regional Multiple Listing Service. has agreed to pay any WFRMLS-member real estate brokerage, including Fantis Group Real Estate, a Buyer's Agent Commission for any listing displayed on Saltyhomes.com. Each Broker Subscriber expressly consents to all IDX Participating Brokers and all IDX Agents advertising all Listings for properties listed for sale by the Broker Subscriber in accordance with the IDX Policy, and in connection with such advertising, each Broker Subscriber consents to WFR granting licenses to all IDX Listings to IDX Participating Brokers, IDX Agents, Vendors and other third parties deemed appropriate by WFR to facilitate the display of IDX Listings by IDX Participating Brokers and IDX Agents. Crystal Hyde, Realtor® and are not affiliated with Saltyhomes.com, Fantis Group Real Estate or Tony Fantis, Realtor®.